We exist to form joyful missionary disciples of Jesus Christ who transform hearts under the prayerful guidance of the Blessed Virgin Mary. 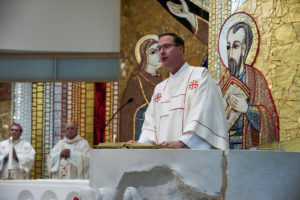 Father James E. Boric began serving as Rector of the Basilica of the Assumption on February 20, 2017. 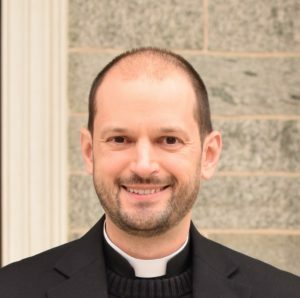 He had previously served as an Associate Pastor at St. Margaret (Bel Air, MD) and St. John the Evangelist (Severna Park, MD). Prior to his entrance into Seminary, Fr. 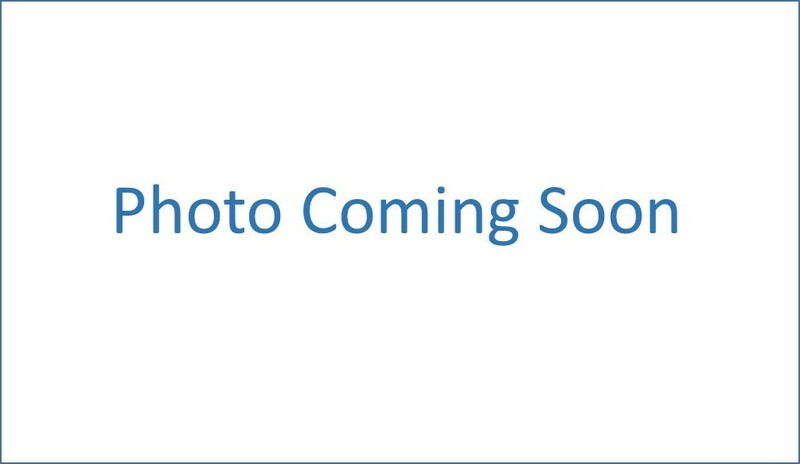 James worked in the Financial Services industry. To contact Fr. James you can email him at jboric@archbalt.org or call the Basilica Office at 410-547-5523. Read about Fr. 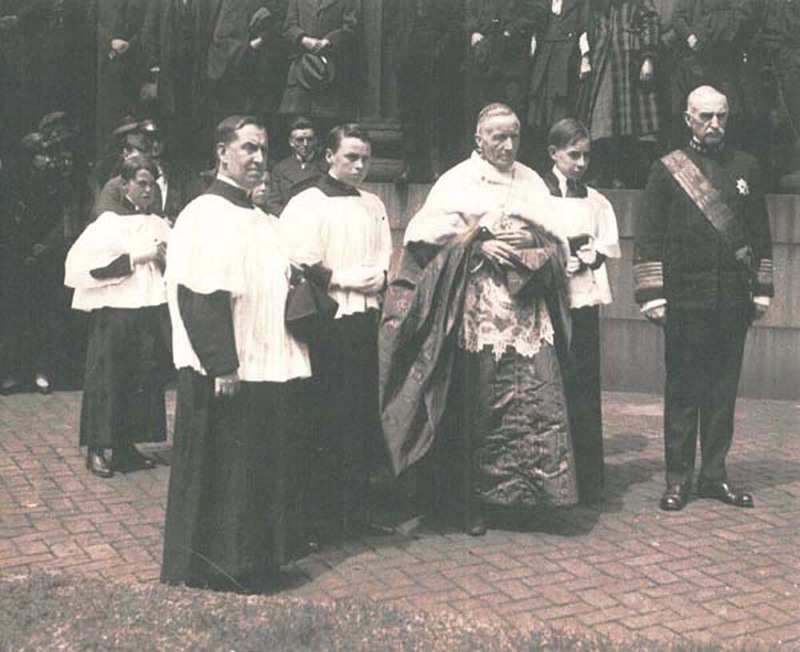 James' journey to the priesthood here. Fr. James is assisted by Deacon Sean Keller and Deacon Robert Shephard. 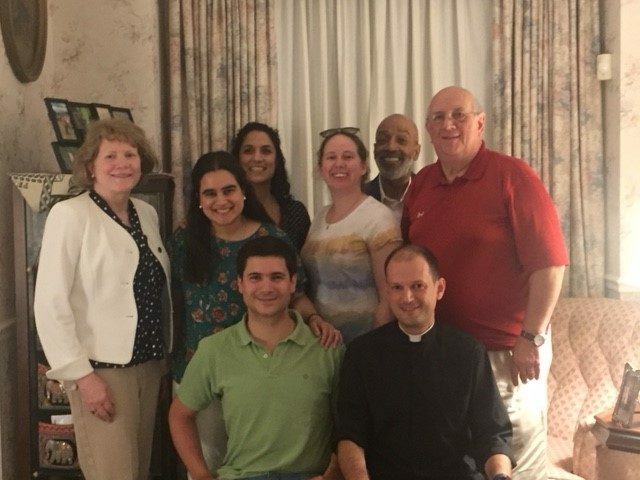 We are a small but mighty team committed to growing closer to our Lord Jesus Christ and serving the parish in varied and exciting ways. We love coming to work! 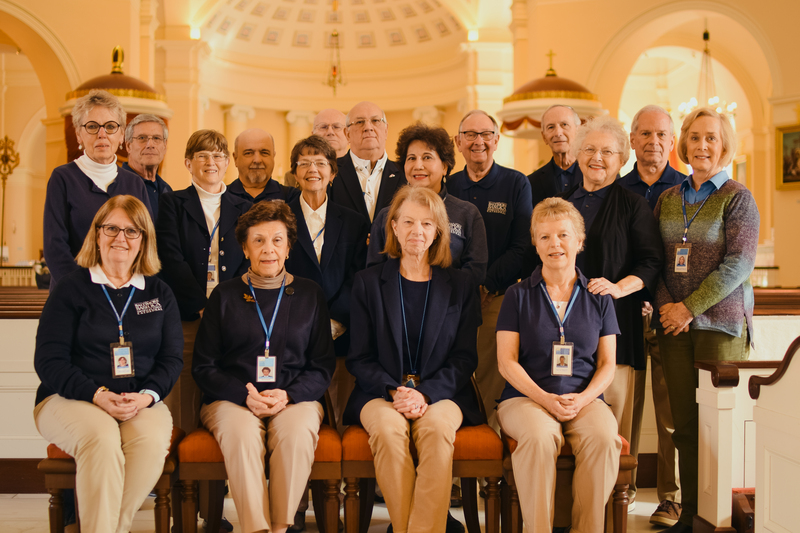 We are grateful for our many volunteers, including our team of knowledgeable docents, who offer daily tours of our historic church. If you'd like more information on tours, click here. 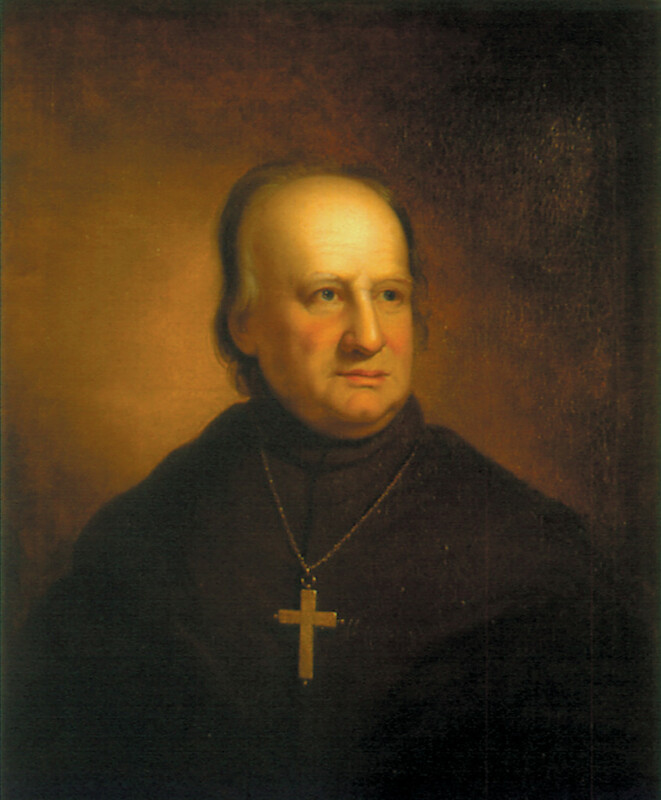 First bishop and archbishop of Baltimore and founder of the American Catholic hierarchy, John Carroll was born at Upper Marlboro, Maryland, On January 8 (or 19), 1736, the fourth of seven children of Daniel Carroll, merchant and planter, and Eleanor Darnall. For the rest of Archbishop Carroll's birography click here. 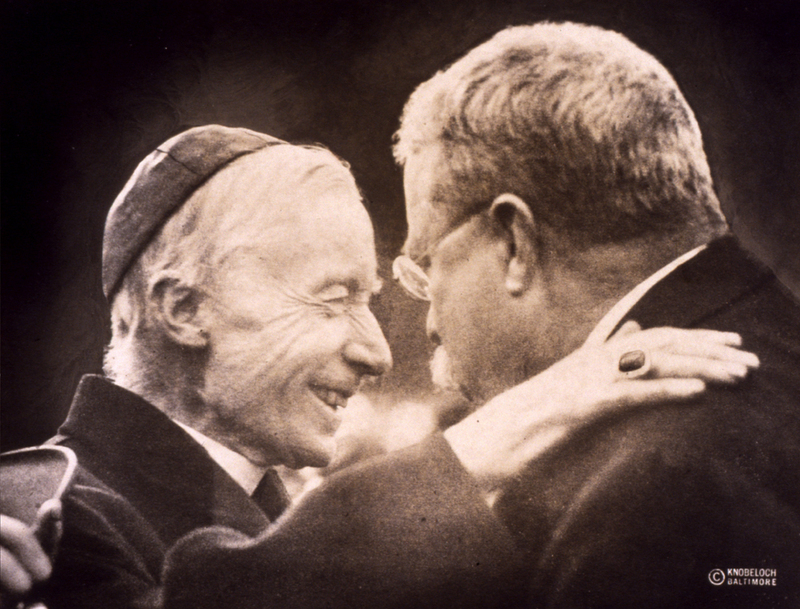 Since Archbishop Carroll, there have been 15 Archbishops of Baltimore. 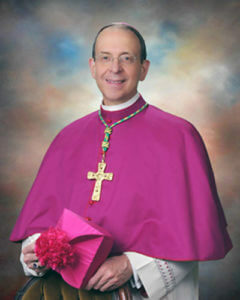 The most recent, Archbishop William Edward Lori was installed May 16, 2012. To view Archbishop Lori's page, click here. The historic Baltimore Basilica, built from 1806-1821, was the first great metropolitan cathedral constructed in the United States after the adoption of the Constitution. America’s First Cathedral, officially known as the Basilica of the National Shrine of the Assumption of the Blessed Virgin Mary, quickly became a symbol of the country’s newfound religious freedom. Two prominent Americans guided the Basilica’s design and architecture: John Carroll, the country’s first bishop, later Archbishop of Baltimore, and cousin of Charles Carroll, a signer of the Declaration of Independence; and Benjamin Henry Latrobe, father of American architecture, and Thomas Jefferson’s Architect of the Capitol.